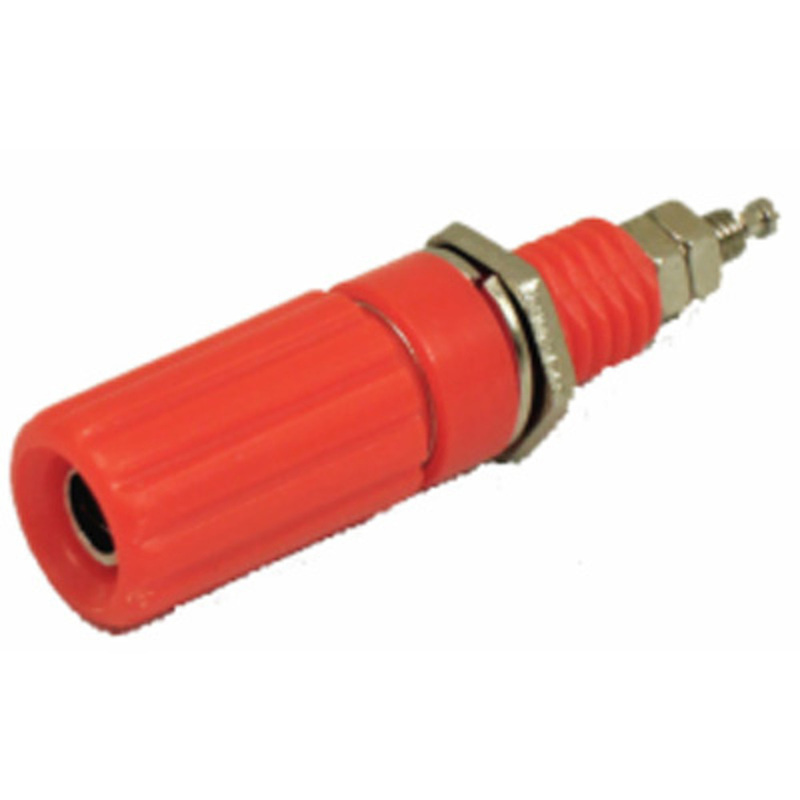 Non-removable fluted head accepts standard banana plugs and 0.080in pin tips, wires and probe tips in 0.100in cross-hole. Mounts in 21/64" Dia. hole.